Last training for Capetown cycle tour. As always there are things that try to distract you from training as you really should. This past week has been one of those weeks. Will have to send bicycle to Capetown on Friday. So training time is now limited. Have taken off my Maxxi crossmarks and put on my 35mm Kendra tires. Cleaned all the grime out of the gears. Now just need to ride a few times to get used to new gear to wheel ratio. Changing the subject a bit. Had a nice day out in the office today. Worked the cattle and gave them some vaccinations. So here are a few shots of them. 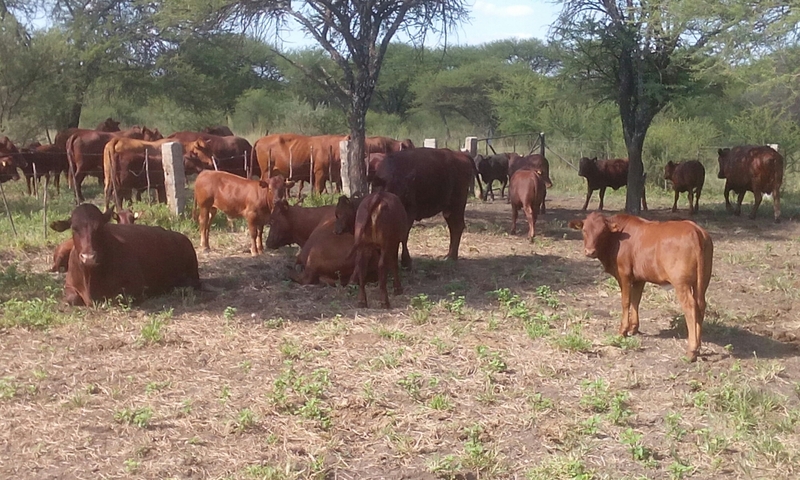 Here are some 4.5 month old calves with their mothers. 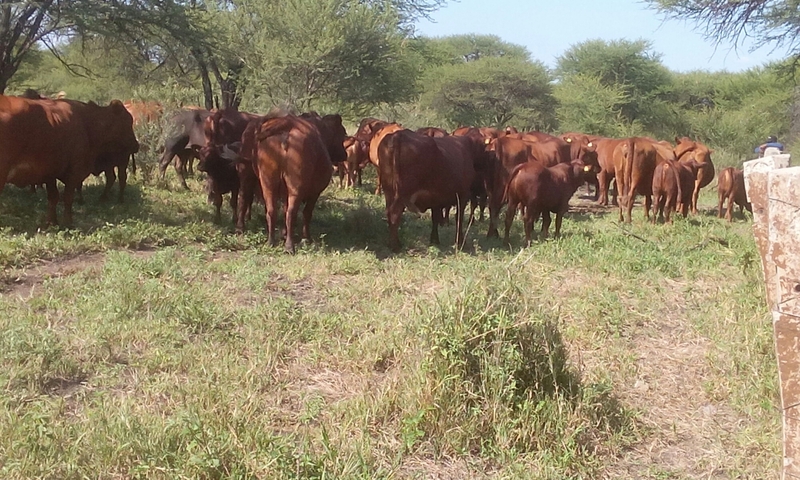 Cattle coming out of bush. After searching for them for an hour. These were the few missing ones. 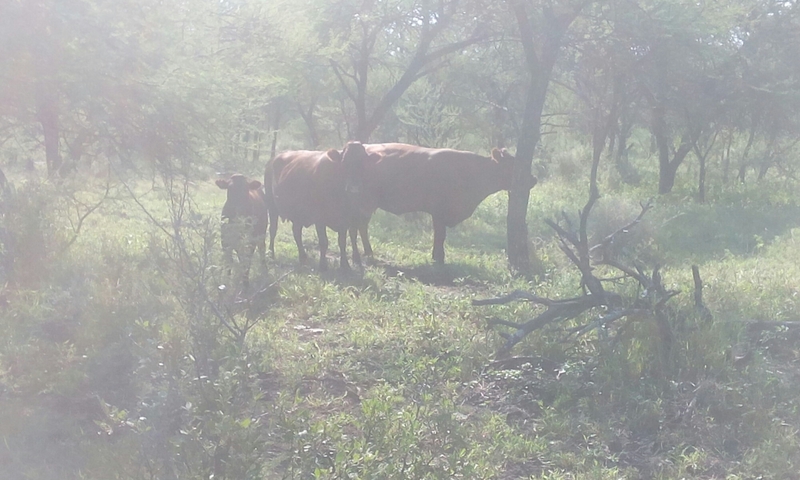 Note farming cattle in the African bushveld is very different to colder open grasslands. Here cows keep contact with mooing for calf and calf calls back. As the bush is to dense to keep eye contact in places. When herdsman looks for them, to see if they are well and healthy, it can take some time if they do not come when he whistles for them to come to drinking trough. There is also other dangers as jackals, caracual, hiena and maybe leapord but have not seen them myself. Snakes are another hazzard. There are some big pythons that could swallow a new born calve. However have not had that yet. Have found some big swellings that may be a result of a snake bite.Then diseases such as Heartwater, redwater, botulism and elephant skin disease. With all this cattle do really well in this environment. Do not have to give them a lot of supplements. Could call it free range. Well hope to see some of you in Capetown. This entry was posted in Uncategorized and tagged bushveld, Cape Argus cycle tour, Capetown cycle tour, cattle by krfarmer. Bookmark the permalink.